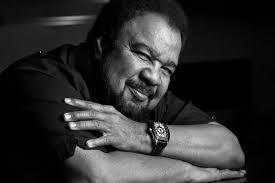 As part of the Symphonic Jazz Orchestra’s 15th Anniversary Concert on May 7th, we will remember the contributions of our former co-music director George Duke. From 2004 to his passing in 2013, George was an integral part of the Symphonic Jazz Orchestra. From performing numerous benefit events to his concert appearances to his commissioned piece written for the SJO and bass soloist Christian McBride, George left a lasting legacy we will always cherish. We are honored to have recorded his commission “Dark Wood: Bass Concerto for McBride” (which can be purchased here) and to share his masterpiece with the world. For our May 7th Anniversary Concert, we will open the celebration with George’s piece “Festival.” The Brazilian-flavored work captures George’s unbridled joy and showcase the members of the 67-member Symphonic Jazz Orchestra. We hope you can be a part of this gala concert as we celebrate this truly special musician and person. Click here to purchase tickets! SJO thrills to packed house!